In 2013, after years of butting heads over policy differences, U.S. Education Secretary Arne Duncan praised Gov. Jerry Brown for showing “real vision, real courage” in leading the passage of a school funding formula that steers substantially more money to English learners and low-income students. Duncan, who announced Friday he would resign as secretary in December, had a problematic relationship with Brown. In their shared focus on improving the education of low-income, minority children, and their support of charter schools and the Common Core State Standards, Duncan and Brown are simpatico. But for the seven years that Duncan has been education secretary, pointed and seemingly irreconcilable differences have defined their relationship. The governor of a solidly Democratic state and a Democratic president’s point man on education were like two ships colliding in a sea of policy disagreements. The most visible was Brown’s opposition to using standardized test scores as a significant part of a teacher’s evaluation. Its refusal to use test scores disqualified California for extra points in its two failed applications for a share of $4.3 billion in the Race to the Top competition intended to promote school and district innovation. The state was also disqualified for a state waiver from the penalties of the No Child Left Behind law. The test score requirement and Duncan’s statement last year in support of the court ruling in the Vergara case, overturning teacher tenure after two years and other teacher protections in California, infuriated Brown’s allies, the state’s teachers unions. Duncan called it an opportunity “to build a new framework for the teaching profession.” California teacher representatives joined their colleagues in the National Education Association and American Federation of Teachers in calling last year for Duncan’s resignation. But Brown’s and Duncan’s disagreements, part policy and part philosophy, reflected a broader dispute over the roles of the federal and state governments in reforming schools. Frustrated that tens of billions of dollars in Title I funding had failed to narrow the achievement gap, President Barack Obama and Duncan used competitive grants, the No Child Left Behind law’s demands for yearly improvement in test scores and the law’s sanctions as leverage to prescribe how to turn around the lowest-performing schools. Then, with Congress deadlocked for years over reauthorizing what he acknowledged was a flawed NCLB law, Duncan lured states with waivers from the law if they agreed to his policies. In addition to judging teachers’ performance partly by test scores, states were required to administer plans to improve the lowest-scoring 15 percent of schools. Brown balked, and California became one of seven states without a waiver. Meanwhile, Brown, convinced that Washington and Sacramento didn’t know how to improve schools and classroom instruction, was devolving power to local school boards. “Duncan’s agenda was one of stronger state centralization of policy and control over local districts and schools. 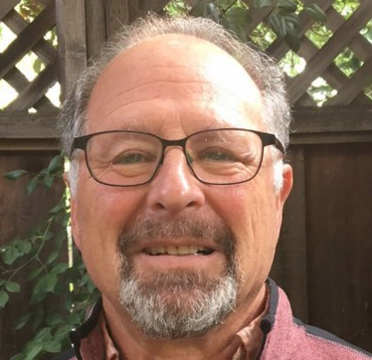 That came at a point in time when California wanted to go the other direction, with less state control and more local flexibility,” said Michael Kirst, the Brown-appointed president of the State Board of Education and Brown’s adviser on education since the 1970s. Kirst and legislative leaders viewed local control as an antidote to federally driven, test-based accountability and to the state version of it that preceded it in the early 2000s. Only three years into a transition to the new system, though, with an alternative framework for judging school progress yet to be developed, it’s too early to say whether Brown’s approach will prove more effective. Testing was one area that didn’t mesh. State Superintendent of Public Instruction Tom Torlakson recommended and the Legislature passed a law creating a hiatus from standardized testing so that districts could focus their attention on adopting the Common Core standards. As an alternative, Torlakson proposed giving all California students in the spring of 2014 a field, or practice, Smarter Balanced test aligned with the Common Core standards. That way, districts could pilot online testing in preparation for the actual Smarter Balanced tests in spring 2015. Consistent with NCLB’s mandates, Duncan opposed any break in annual testing and threatened to withhold all or part of the state’s Title I funding if California didn’t comply. Rather than confront a state committed to implementing the Common Core, he eventually backed off. Over the past year, Duncan has tempered his statements on test-based accountability. He has called for less testing overall while supporting continued annual testing in English language arts and math and periodically in science. He has talked more about the impact of poverty and trauma on children’s education, and the need to invest more in teachers and less in prisons. And he has praised the flexibility and creativity of the six California school districts, known as the CORE districts, to develop an accountability index with non-test criteria, including elements of social and emotional learning. Duncan has granted the districts the only non-state waiver from NCLB. Ted Lempert, the CEO of the Oakland-based advocacy group Children Now, said that Duncan and the Obama administration “had a broader, more comprehensive agenda than they were given credit for.” That included support for community schools, which established partnerships to bring health and social services into low-income schools, and an expansion of preschool. Although a Republican majority in Congress rejected President Obama’s call for increased early education funding, Duncan did set aside a small slice of the Race to the Top grants for early education. California won $75 million in that competition. Part of Duncan’s consistency was, for the most part, saying no to California, and that continued this year. Denied a state waiver from NCLB, California asked for relief from one of its sanctions for schools failing to meet achievement levels that Duncan has acknowledged were set too high under the law. Schools were required to use 15 percent of their Title I dollars – collectively several hundred million dollars statewide – for outside tutors and for transporting students to better performing schools, an option few families have taken. The state board wanted to give districts flexibility to spend the money in other ways for poor children. The U.S. Department of Education said no. Kirst and the Brown administration would likely fare better if Congress were able to agree on revising NCLB or, as it’s formally called, the Elementary and Secondary Education Act. Duncan’s announced departure has set off a new round of handicapping on whether that will happen. Some analysts predict this will now be easier with Duncan out of the way, while others say that the combination of House Speaker John Boehner’s and Duncan’s resignations will reduce the already low odds of reauthorization. Both the bipartisan bill that the Senate approved and the Republican version passed by the House would give states and school districts more latitude in deciding how best to turn around the lowest-performing schools. Both bills would eliminate School Improvement Grants that dictated how that should be done. And both bills would allow states to use federal dollars to design teacher evaluation systems but would prohibit the secretary of education from mandating it, according to an analysis of the bills by Education Week. Both bills would clip the powers of the next education secretary, giving Brown more room to maneuver with local control. Brown’s term as governor ends in January 2019, giving him two years to make his case with the next administration. 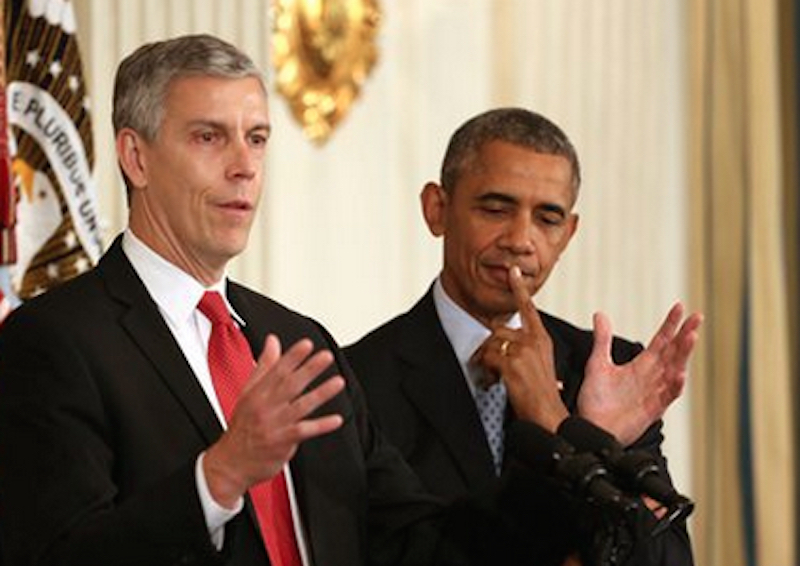 Arne Duncan’s announcement of his plan to resign evoked strong opinions, just as his actions did as education secretary. Here are seven from admirers and critics. “Even programs that have had mixed results, like School Improvement Grants, show his commitment to equity. In a polarizing debate that often says the problem with public education is either about adding money or changing policy, Secretary Duncan reminded us that the solution was about smarter investments, smarter policies and greater support for our practitioners,” she wrote in an email. “He was a vocal champion for early learning and helped set the stage for really massive investments in quality early learning. He was the first education secretary to be a huge proponent,” he said. As much as the president has moved the nation forward in many positive ways, and this in spite of a opposition party dedicating itself to obstructionism whatever the costs to the country, education will go down a major failure in the president’s legacy. Much of this comes from appointing Duncan to “lead” education policy when he had never spent a day as a real classroom teacher or school or district level administrator. He came from the private sector foundation cabal and so, put many people from foundations or foundation supported outfits in key positions who just demonstrated their total lack of understanding of public education’s complexities also. “Reforms,” as defined by the oligarchs, were never a real fit for the nation’s schools. The underlying fallacy of the Duncan era seems to be akin to the fundamental lack of understanding about early childhood ed (even though the administration “supported” ECE) demonstrated by many pundits. Critics of ECE focus on how the benefits of ECE “fade-out” in a few years. Well they do “fade-out,” but only if you look strictly at test scores. Looking at inferior indicators of student achievement (test scores) led to inferior policy prescriptions. When you look at the social and soft skills (perseverance, etc.) longitudinal studies showed kids attending quality ECE showed higher graduation rates, greater college enrollment, better health outcomes, higher average salaries, and lower incarceration rates. One Noble economist asserts quality ECE pays society $16 for every dollar expended on quality ECE programs. Another consideration is often asserted by Michael Fullan, cited on this site often, that looking at narrow indicators of school success leads to prescriptions of narrow and misguided “drivers” of school reform and policy. This appears to have infected Duncan’s USDE with an overly concentrated emphasis on test scores and the consequent policy failures (RTTT) that emerged from USDE. Good on CA’s policy leaders for having resisted Duncan’s initiatives and whimsically destructive support for oligarchic initiatives like Vergara. There were also significant contradictions between what Obama said about teacher, testing , etc., and what emerged from the USDE. That “curiosity” will have to be explained in post-administration memoirs. Don’t let the door hit ya’ where you sit on the way out, Arnie. Decentralization has been the appropriate strategy in American education in recent years, especially when the federal government has been busy, as it has throughout the 21st century that President Obama has mistakenly praised when evaluating his education secretary (Mr. Obama was much better as a candidate than as a president), in pressing for bad policies like linking pupil test scores to teacher appraisals. Governor Brown deserves credit for seeing this is as early as 2009 (education reform was much more promising in the last decade than it has been in this one, when it has gotten so badly off track), and for resisting Secretary Duncan’s mistakes, which have shifted the funding extracted from California’s taxpayers to other states like New York that have colossally failed to execute education reform in a manner gaining the public’s trust. But the crucial issue in education policy now remains what it has been since 2009, when President Obama came to office — it is an issue he and Secretary Duncan have made no progress with in almost seven years of incumbency: to repeal No Child Left Behind. The congressional conference committee working on this should proceed with alacrity, so as to relieve schools from a punitive central government’s testing regime that has failed (on the day Secretary Duncan’s plan to leave was announced, I read that the World Economic Forum’s 2015-2016 Global Competitiveness Report ranked U.S. elementary and secondary education 57th in the world, two spots below Zimbabwe!) to provide America with the young adults needed by a competitive economy in the 21st century.